So the law in Maryland is that victims still cannot get punitive damage against a drunk driver no matter how drunk that driver was or how many people he harmed. Who opposes the idea of punishing drunk drivers? State Farm. Their representative told Maryland legislatures that the punishment of drunk drivers is the province of the criminal justice system. I guess this view is based on that fact that the criminal system is doing such a good job as it is of deterring drunks, right? I mean, approximately 130 people in Maryland die every year from drunk drivers. State Farm further argues that State Farm and other insurance companies will be required to pay more because automobile insurance companies would rather settle the claim than risk a court-ordered award. So State Farm wants to protect its drunk drivers? That is a choice it could make. Or it could just defend the case on liability and let the drunk driver pick up the tab on the punitive damages. This is the very purpose of punitive damages in the first place. Holding drunk drivers responsible for punitive damages just makes sense from a public policy standpoint. Is holding drunken drivers liable for punitive damages consistent with Maryland’s public policy on punitive damages? In Zenobia v. Owens-Illinois, the court set out Maryland public policy governing the policy behind awards for punitive damages both for intentional and unintentional torts. 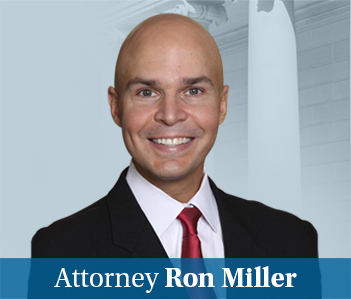 The Court of Appeals in Zenobia found that punitive damages may only be awarded in cases where the defendant’s conduct is proved to having an intend described as “actual malice.” What is actual malice? It means that you had an evil motive, intent to injure, ill will, or fraud. Drunk driving is not actual malice as defined in Zenobia. But that law was made by judges, not the Maryland legislature. How can we award punitive damages for fraud and not for killing a child because you made an affirmative choice to drive drunk? It does not make sense and the Maryland legislature needs to step up and do the right thing. Other states are onboard. To name just a few: Florida, Minnesota, Virginia, New Jersey, Wisconsin, North Carolina, Indiana, Kentucky, New York, Louisiana, and Mississippi. There are probably a ton more, this was 5 minutes of research.